Yangxifu (洋媳妇): 1) foreign daughter-in-law; the foreign wife of a Chinese man. 2) (On Speaking of China) one certain foreign wife of a Chinese man…ready to help with your family and dating dilemmas. Are you having headaches over your boyfriend or girlfriend? Your husband or wife? Your in-laws? Why not ask the yangxifu? Send me your questions about dating, marriage and family in China/Chinese culture or the West. On some Fridays, I’ll choose one question to answer on my blog. Thanks for visiting this page! Due to time constraints, I’m no longer answering questions. However, you’re welcome to browse my frequently asked questions, or even browse the Ask the Yangxifu archives. I may have answered your question already. You’ve got questions? I just might have your answers. Skip down to questions about dating Chinese men, or dating Western women. I’m interested in dating Chinese men. What should I know? I recommend starting out with my version of “everything you wanted to know about dating Chinese men, but were afraid to ask” — Western Wives, Chinese Husbands. I’m in China. What’s the best way to meet Chinese men for dating? See my answer about how Western women can find Chinese men in China. There’s this Chinese guy I’m interested in, but he’s hard to read. How can I tell if he loves me? Sometimes, it’s hard to tell, since Chinese men tend to be more indirect about their feelings and love. Read this on indirect dating and Chinese men, and this one about a London woman wondering about her Chinese coworker. I like this Chinese guy and want to show him I’m interested. What should I do? Ask him to help you with something — to understand this better, see my answer to woman who had a crush on a Chinese man in a grocery store, and also my answer to a woman wanting to get the attention of a Chinese foreign student. I thought this one Chinese guy loved me, but he seems to be holding his feelings back. What’s going on? Uh-oh. He may have buried his love for you deep in his heart. I need to buy gifts for my Chinese boyfriend/husband/family. What should I get? 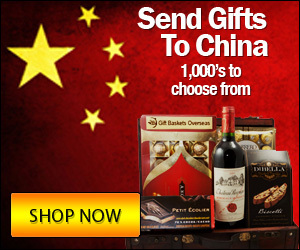 Try my gift guide, which has suggestions on good gifts to buy abroad for your Chinese loved ones and family. If it’s your Chinese boyfriend’s/husband’s birthday, see my birthday gift ideas. My Chinese boyfriend/friend hasn’t been communicating much with me, and I’m worried he’s not interested in me anymore. What do you think? Maybe, maybe not. See understanding silence from your Chinese boyfriend. I’m going to meet my Chinese boyfriend’s parents for the first time. What advice do you have? Read my article on how to impress your Chinese boyfriend’s family during Chinese New Year. See also this answer on meeting the Chinese parents in America. And realize that when he’s with his parents, he might seem a little different. My Chinese in-laws are driving me crazy. What should I do? If you live with them, try moving out, ASAP. Second, read my suggestions for building a better relationship with a Chinese mother-in-law. If there’s a baby involved, you might find answers in this story of Chinese parents, pressure and a preemie. And if you’re desperate to dissect the hows and whys behind all of this, you might like the troubling Chinese mother-in-law relationship. My Chinese boyfriend and I are going to get married, but his family is getting in the way of our wedding plans. What should I do? Ah, weddings! The short answer is, you may have to compromise. For longer answers, read a big, fat, traditional Chinese wedding, and then have your Chinese fiancee read interracial Chinese wedding dos and don’ts. I’m interested in dating Western women. What should I know? Start out with this interview with J.T. Tran, with dating tips specifically for Chinese men. Where can I find Western women for dating? Read about how Chinese men can meet Western women in China. If you’re in the US, see the J.T. Tran interview, and also my own suggestions for places in America to meet Western women. I like this one Western woman, but I’m not sure how to approach her. What should I do? Check out my tips on how Chinese men can approach Western women in China. For an example, read about a Chinese student who wants to approach a brunette. Is it true that Western women tend to move fast in relationships? Not necessarily. While some do, most of us are just really looking for that someone special, and we’d rather take it a little slower. For further details, read why Western women in China are not all sluts. Can you help me find a yangxifu? Pingback:How can Western women and Chinese men get along – as a couple? Pingback:Ask the Yangxifu: Chinese Boyfriend Changes Around His Parents? Pingback:Ask the Yangxifu: Are Chinese Men with Tattoos Bad? Pingback:Ask the Yangxifu: Will Chinese Men Date Taller, Heavier Women? Pingback:Ask the Yangxifu: Western Parents Say No to Chinese Boyfriend?